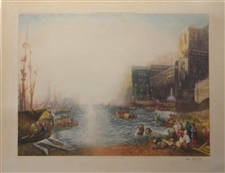 AffordableArt101 has a good selection of European etchings from the 19th Century and earlier. This includes Old Master etchings by Rembrandt van Rijn, Jacques Callot, Salvator Rosa, Anthonie Waterloo, Franz Edmund Weirotter, Karl Dujardin, Jan Both, Annibale Carracci and Giovanni Benedetto Castiglione. Barbizon School art by Charles Daubigny, Jean-François Millet and Jean-Baptiste-Camille Corot is featured here as well as other 19th Century etchers including Anders Zorn, Jules Bastien-Lepage, Paul César Helleu, Felix Bracquemond, James Tissot, Eugene Delacroix, Charles Meryon, Theophile Chauvel, Francisco Goya, Johan Barthold Jongkind, Maxime Lalanne, Jean Leon Gerome, Alphonse Legros, Edgar Chahine, Jean-Louis Forain and Felix Buhot. Many of these printmakers are responsible for the French Etching Revival, and Paris printer Auguste Delâtre also deserves special mention for his role. The Gazette des Beaux-Arts featured prominently in the publication of original prints. 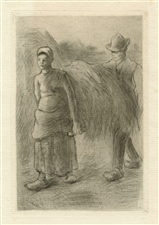 The father of the British Etching Revival was Sir Francis Seymour Haden, and AffordableArt101 has a selection of magnificent Seymour Haden etchings. 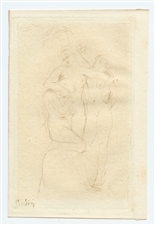 Also original prints by David Roberts, Mortimer Menpes, Thomas Gainsborough, J. M. W. Turner, Samuel Palmer, David Young Cameron, Sir Frank Short, Sir David Wilke, Andrew Geddes, Charles Shannon, Gerald Leslie Brockhurst and Edmond Blampied. 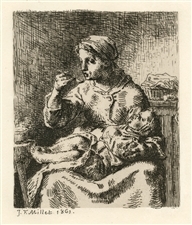 The British excelled at the mezzotint technique of printmaking, and we feature mezzotints by or after George Morland, John Cother Webb, Sir Joshua Reynolds and Sir John Constable. 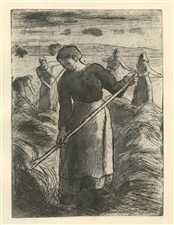 The New York Etching Club was key to the American Etching Revival and AffordableArt101 proudly features original prints by many these artists, especially the Moran family. Thomas Moran was one of the giants of 19th Century American art, and his younger brother Peter Moran and wife Mary Nimmo Moran were extremely talented in their own right. 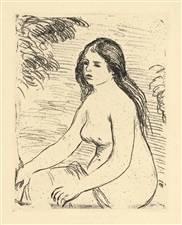 Also offered are etchings by James McNeill Whistler, Frederick Stuart Church, William Merritt Chase, Stephen Parish, Childe Hassam, Charles Saint-Memin, Charles Platt, Albert Bellows, Edmund Garrett, Henry Farrer, James Smillie, Robert Blum, Thomas Waterman Wood, Winslow Homer, Otto Bacher, Joseph Pennell and others.